Wow. 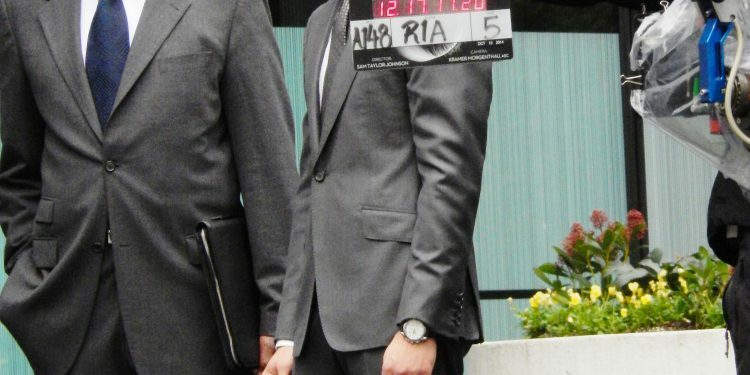 Made a shocking discovery that the suit and tie Jamie Dornan wears for the FSOG RESHOOTS is the same suit and tie Christian Grey is putting on in the new teaser out today. 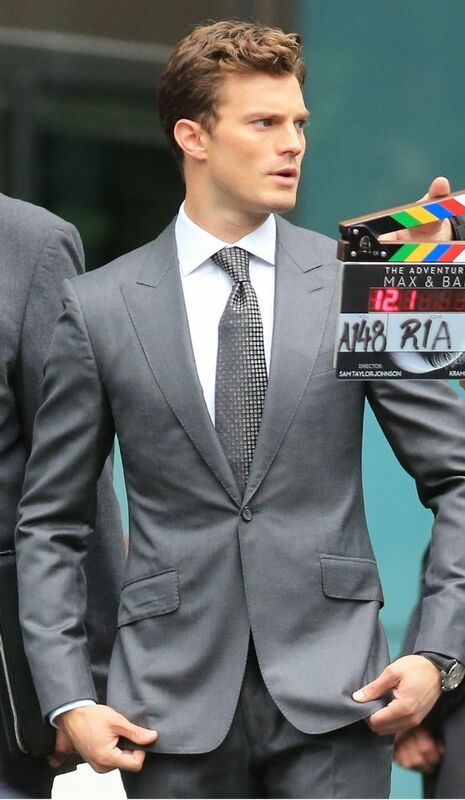 It is also the same suit and tie he wears in the first trailer when he meets Ana for the first time in his office. At first I thought it might be one of his ties that is in the drawer full of them that he pulls open in the teaser. But then I compared the teaser to my reshoot photos and discovered its the same tie he wears for the second location at Bental Tower 3 where he is leaving his work and then hops in his car. 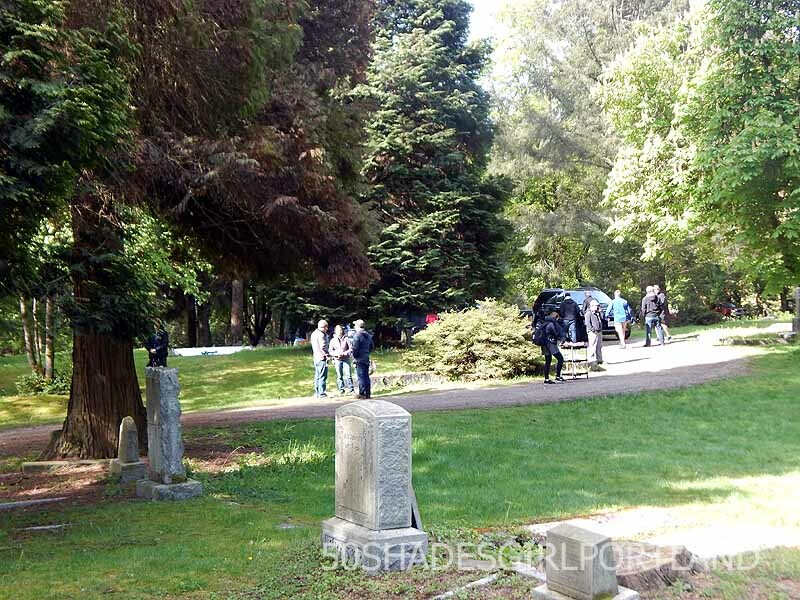 This would explain why I noticed that at this reshoot location he was much more serious and powerful as Christian Grey. I wonder how this may play into the movies scenes. Its definitely the scene with her interview in the first trailer. Lots more photos in the Photo Gallery. I wanted to share some videos and photos so you can decide.